Mike Schultz of St. 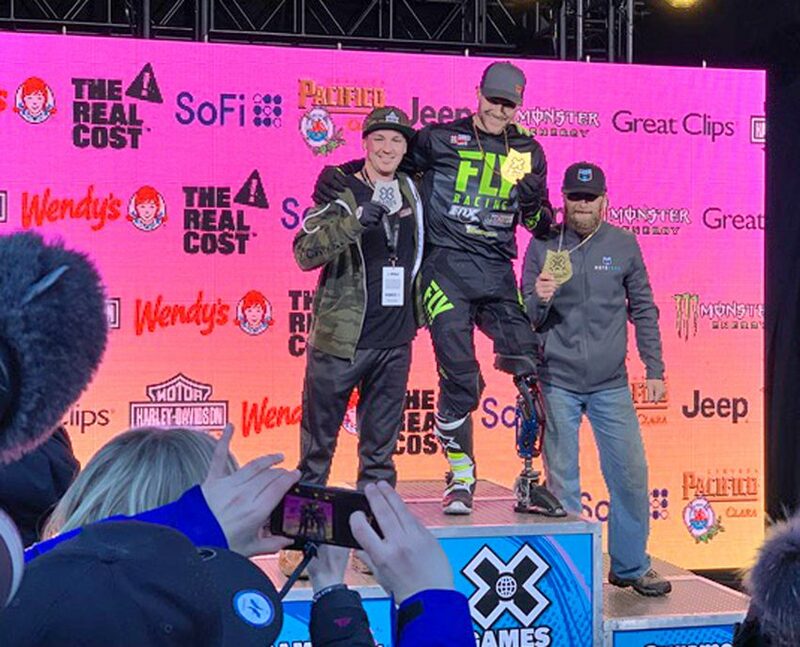 Cloud went into XGames this weekend as an 8-time gold medalist in two sports (Snocross and Motocross), and today he left XGames with another gold medal in a different sport – Snow Bike. A relatively new sport for Schultz as he only started riding snow bikes in November, Adaptive Snow Bike made its XGames debut last year and has an adaptive class for athletes who are amputees as well as a para class for athletes with paralysis. Schultz now holds the record for nine gold in three sports: Motocross, Snocross and Snow Bike.